Peregrine BulletsTM has officially been designing hunting bullets since 2009, but our story starts earlier with an alliance between two passionate hunters with the dream of conquering where everyone else had failed. In 1986 the renowned South African hunter, Adriaan Rall, teamed up with Louis Nel. The two-man team made a pact that they would create a monolithic that would overcome not only the various issues associated with lead bullets, but also the difficulties that were posed by the copper based monolithic bullets of the time. Adriaan and Louis’ research experiments delivered promising results and their prototypes went into small scale production. The venture sadly ended many years ago with Louis passing away at a very early age. Lead based bullets are not known for retaining their weight and shape very well and often break apart once they hit the target, causing damage to the meat of a target. While lead bullets are typically more affordable and easier to manufacture than monolithic bullets they cannot compete in terms of accuracy and terminal power. Also, lead based bullets have been proven to have a toxic effect on the environment, and also to humans who consume venison shot with lead bullets. On the other hand the copper based monolithic bullets that were available at the time posed their own dilemma. Because copper is less dense than lead, these copper monolithic bullets effectively had to be longer in length to achieve similar weights to lead bullets. Due to the longer length the chamber and barrel of the rifle sustained increased pressure, while the barrel showed a decrease in lifespan because of copper fouling. Furthermore, the copper monolithic bullet showed troublesome inflexibility in the barrel of the rifle. Although Adriaan and Louis’ research experiments delivered promising results, their prototypes never made it to the point of being manufactured for public use. Long after Louis Nel passed away, Adriaan decided to rally a new team to help him with the development of his designs and so he joined hands with Corno van Rooyen to launch the South African based company, Peregrine Bullets, in 2009. At Peregrine Bullets the design and development of a marketable monolithic bullet began in all earnest. Adriaan was determined to honor Louis Nel’s legacy by successfully designing and manufacturing the best bullet in the world. Towards the end of 2010 they formally entered the market of monolithic bullets. Following on their earlier work together, and through the use of highly advanced computerized software along with high quality international equipment in their developmental phase, Peregrine Bullets was able to launch their first copper monolithic bullet that year, the VRG-3(Bushmaster). 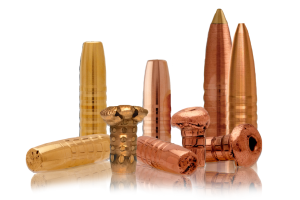 In a relatively short time, Peregrine expanded its product line to include various copper and brass monolithic bullets which was made available to the public. In addition the company became the only manufacturer to develop and hold patent rights to the world’s only expanding monolithic bullet to make use of the pneumatic force of compressed air to cause expansion in their bullets. 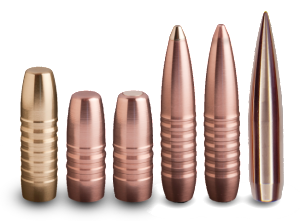 Since inception Peregrine Bullets has addressed all the difficulties associated with copper based monolithic bullets, a task that had proven to be nearly impossible in earlier years. As a result, Adriaan lays claim to having developed the world’s first monolithic bullet to overcome any and all aforementioned problems. Peregrine BulletsTM was born from the desire to achieve the almost impossible and our determination and grit was rewarded with the invention of Peregrine lead-free bullets – monolithic bullets that are velocity insensitive and offer consistent expansion i.e. achieve terminal effect, reliable expansion and a full mushroom at velocities from as high as 3400 fps to as low as 1600 fps, all while being effective regardless of the target aimed at. Our ability to achieve these design goals helped us secure patents for our technologically advanced designs. Peregrine Bullets’ designs and performance improvements represent a quantum leap advance over traditional bullets. Welcome to the future! Achieving heights of this nature required a dedicated team of experts. Adriaan, contributed his vast knowledge of game and hunting in the USA and Africa. Corno, brought his extensive artillery projectile design background to bear. Alliwyn’s expertise in Mechanical Engineering broadened Peregrine Bullets’ scope in the field of bullet design. One of our young engineers developed Computational Fluid Dynamic (CFD) software to digitally evaluate the supersonic flight characteristics of our bullet designs as part of his Master’s Degree thesis at the University of Pretoria. Last but not least, we pay tribute to our loyal supporters – you! The Peregrine team finds nothing more gratifying than receiving testimonials from our satisfied customers – shooting enthusiasts and hunters who have put our bullets to the test everywhere in the world, from the African Savannah to the Alaskan Wilderness. Your success spurs us on to keep improving the bullet of the future.